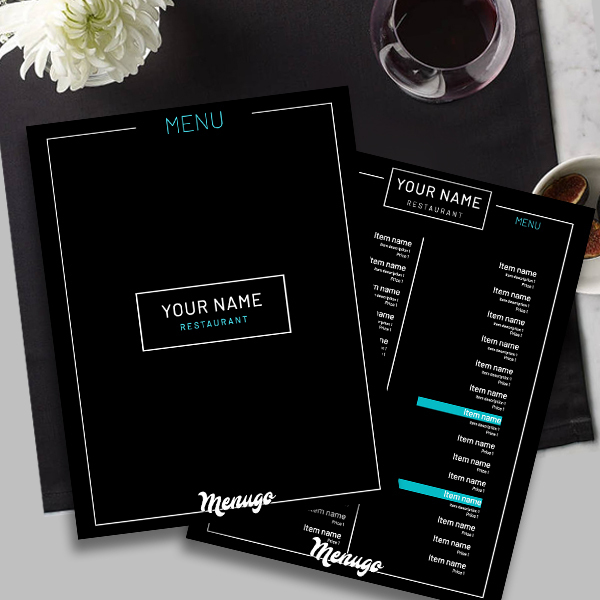 This Black Elegant Generic Menu was created with a basic style, contrasting and attractive. Stylish and classy, it is ideal for all restaurants, bars and cafes. The black and blue design gives a pattern of refinement, and emphasizes the uniqueness.